Computers in charge of the countdown detected a problem with the inertial measurement unit during a calibration check about one hour before the Soyuz ST-A rocket’s scheduled blastoff at 2102 GMT (5:02 p.m. EDT). 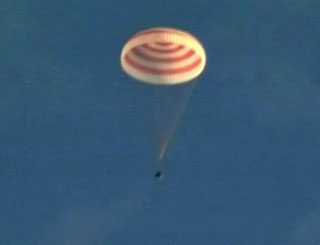 The problem prompted an automatic abort of the countdown after the Soyuz rocket’s three-stage core booster was already loaded with kerosene and liquid oxygen propellants. Five satellites are fastened to the top of the Soyuz rocket and its Fregat upper stage, including the Sentinel 1B radar imaging satellite for Europe’s flagship Copernicus Earth observation system, France’s Microscope spacecraft to study the physics of free fall in microgravity, and three university-built CubeSats sponsored by the European Space Agency. It is the Soyuz rocket’s 14th mission from French Guiana the Russian-made launcher began operations there in 2011 under the auspices of Arianespace. 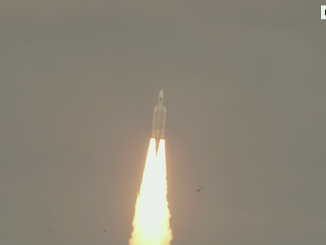 Arianespace chief executive Stephane Israel tweeted Sunday that the faulty inertial measurement unit, or IMU, will be replaced overnight in time for a launch attempt Monday. The IMU is located on the Soyuz rocket’s third stage and is used to determine the heading and orientation of the vehicle in the first nine minutes of its mission, feeding critical attitude data to the launcher’s guidance computers, which transmit steering commands to the engines. The venerable Soyuz booster flies more often than any other launcher in the world, and delays due to technical causes are rare. 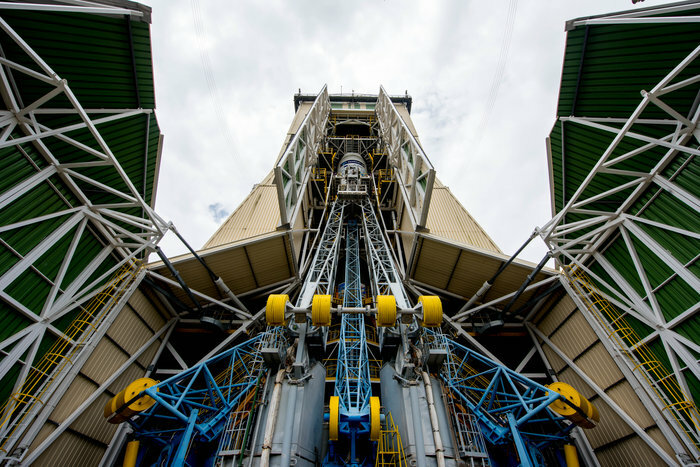 Representatives from Arianespace and Russia will meet again Monday to review the repairs and approve another launch attempt. Sunday’s scrub came after back-to-back delays Friday and Saturday caused by unfavorable high-altitude winds over the European-run spaceport in French Guiana, on the northeastern coast of South America. The launch time for this mission is fixed at the same time each day: 2102:13 GMT (5:02:13 p.m. EDT). The Soyuz rocket’s third stage will deploy a Fregat upper stage to propel the Sentinel 1B, Microscope and CubeSat satellites into three specific orbits reaching more than 650 kilometers (400 miles) above Earth. 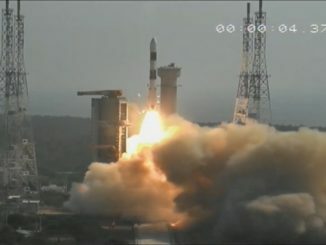 Sentinel 1B, which weighs about 2,164 kilograms (4,770 pounds), will separate from the rocket first about 23 minutes after liftoff, followed by the tiny CubeSats at T+plus 2 hours, 48 minutes. The 303-kilogram (668-pound) Microscope spacecraft will release from the Fregat upper stage last at about the four-hour point of the mission.